Home / Restaurant Equipment / Commercial Ice Machines / Undercounter Ice Machines / Hoshizaki AM-50BAJ-DS Compact Top Hat Ice Maker w/ Storage Bin, Air-Cooled, 14.88" W, 51 lb. Hoshizaki AM-50BAJ-DS Compact Top Hat Ice Maker w/ Storage Bin, Air-Cooled, 14.88" W, 51 lb. 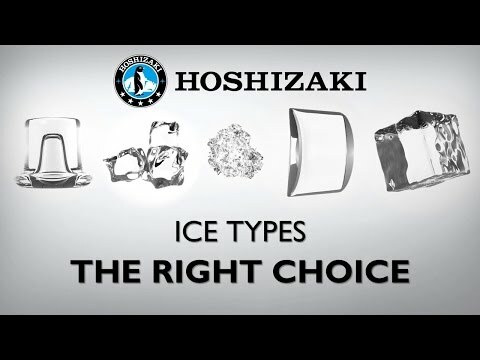 The Hoshizaki AM-50BAJ-DS Compact Top Hat Ice Maker is the perfect addition to any hotel suite, office break room, or kitchen. The AM-50BAJ-DS is capable of producing approximately 55 pounds of Top Hat style ice cubes per day at 70°F / 50°F, and the built-in storage bin will hold up to 22 pounds of ice at a time. The undercounter design is less than 34 inches tall. The Air-cooled design also features a front in, front out airflow system that eliminates the need for side and rear clearance. Perfect for fitting into tight spaces. Drain pump not included. This product measures at 33-1/2 inches high by 14-7/8 inches wide by 22-5/8 inches deep. 115v/60/1-ph, 3.4 amps, NSF, UL, NEMA 5-15P. Approved for outdoor use. Ambient temperature range: 45 100°F. Water temperature range: 45 95°F. 6 ft. cord.